Up the hills with EclectiC! EclectiC is going to do a cycling day on Friday, May 11th, 2018 in Limburg! 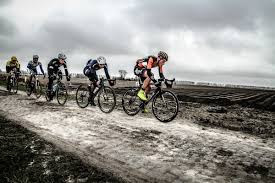 With a group of EclectiC employees, consultants and friends are going to cycle about 100 kilometers of the partly hilly Amstel Gold race parcours. The get together is planned at 9 am in Geulhem. Lunch as well as dinner is organized at different stop-overs on the route. If you’re interested in joining, please let us know and reach out to us for further information. You are very welcome to join the EclectiC cycling team!